Transitional weather tends to produce lackluster, confused, ADD skin. One minute, it’s hot and humid and our complexion looks slick and greasy, the next, it’s cold and windy and our skin is dry and irritable. 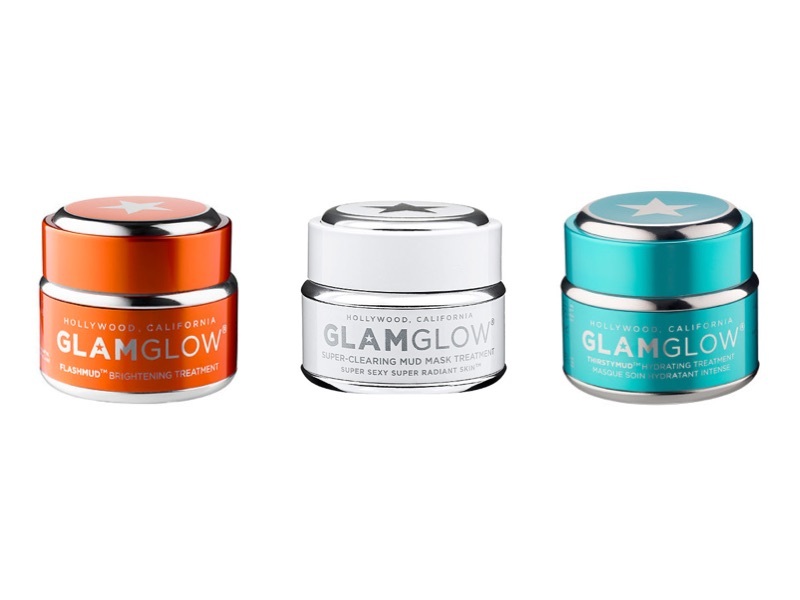 While we’ll dedicate an entire post to tackling transitional skincare, today I want to let you in on a little complexion corrector: GlamGlow mud masks. The truth is, you kind of need all of these masks — and you can create specific concerns, like dryness, t-zone oiliness and blackheads, and dull areas, with a different mask for each targeted spot. Sure, your face may look a bit blotchy when the masks are applied, but the beauty of combining the masks is that you can literally customize it to your personal concerns. When experiencing a heatwave like the West Coast currently is, and no amount of face wash or astringent can stop my oil glands from literally bleeding out sweat, I turn to the Supermud Clearing Treatment. When the weather shifts and nights become cooler, I usually need extra hydration around my eyes and mouth and chest… that’s when I use Thirstymud (yes, a chest mask is essential for youthful skin!). And when my complexion has an overall blahness to it – usually a result of heat, air conditioning, sun, and swim, Flashmud brings everything back to a harmonious balance, exfoliating and brightening the skin. GlamGlow makes a slew of other magical masks for specific skincare concerns (peruse here), so mix and match as you see fit! But definitely invest in some mud to get your mug back into top shape this fall.